Original run: May 3, 2015 – ??? Qian Qian is the school aged daughter of Bi Shen Nan and Luo Su, and the princess of the family. After learning from others that the educational foundation starts in elementary school and witnessing first hand the difficult process of entering a great school, Bi Shen Nan finally realized that they have spoiled their daughter for way too long. 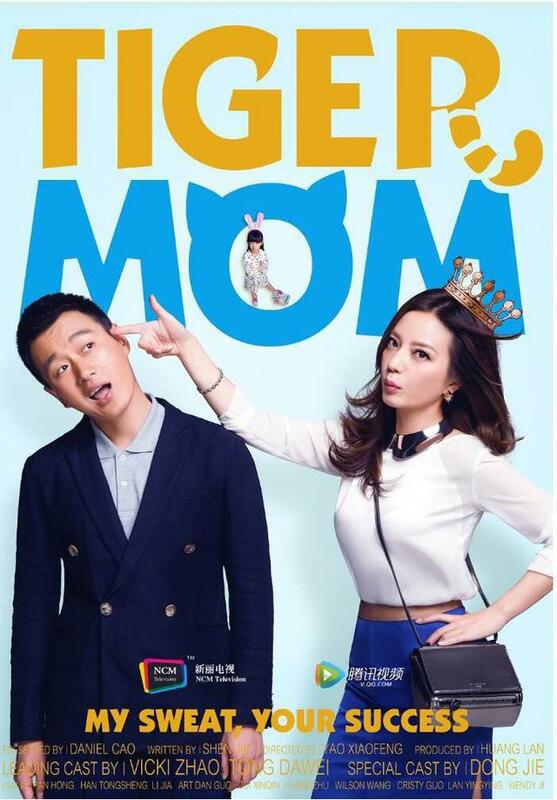 Determined to catch her daughter up with all the other kids, she has quickly grown into the role of a tiger mom while her husband maintains that the happiness of Qian Qian is the most important, even if that means being academically behind. Mixed in the bag are two sets of opinionated grandparents and the reappearance of Luo Su’s gentle ex-girlfriend. Will the family stay together through this? Or is this just the spark that lights the fire? OK, let’s start with a full disclaimer. I LOVE Zhao Wei, from her HZGG days to her movie with Lu Yi to her recent works. I mean I love this woman! She is a fantastic actress and I haven’t seen a role she was unable to master. I’m also a big fan of Tong Da Wei. While I don’t think he is as great and as versatile as Zhao Wei, he is usually on point. It probably helps that he always play very similar characters, typically the bubbly lovable pushover guy, although he did change it up in his recent film collaboration with Zhao Wei, but he is back to his normal routine in this series. I have also been secretly anticipating this series for a while now. I know I didn’t put it up on our upcoming list, but I was over the moon when I heard of it and I’m so glad I’m not disappointed. Man, the acting is superb and the show is really funny! Zhao Wei and Tong Da Wei are SO natural as parents of Qian Qian, and the grandma Sun Ya Xian (Pan Hong) is also truly wonderful. I’m surprised Pan Hong has picked such a feisty character because she was always cast as the gentle and sweet women in her younger years, but I love it; she totally rocks her role. Zhao Wei is from Anhui (my hometown!) and she broke out on scene as Xiao Yan Zi in the original (and only) Huan Zhu Ge Ge. She was recently in film Dearest with Tong Da Wei, and will be in another film with him and Huang Xiao Ming called Hollywood Adventures to debut on June 26 this year. Tong Da Wei was in a movie with Zhou Xun called Meet Miss Anxiety in late 2014 (to be reviewed soon). He is Yin Hui in the movie adaption of My Sunshine. Pan Hong is half Russian and half Chinese. Li Ke Lan/Joane Li was Zhao Wei’s classmate in college. Exactly what I was thinking! Had my eye on this drama for the longest time but 45 episodes is loooooong. I haven’t seen any English subs for the series yet =\ But hopefully someone will do them soon! It is a great show! This drama is so good. Like you said, it’s realistic and also very heartfelt. I love how it’s all about the issues and relationships among family members. Plus Qian Qian is ADORABLE. Anyone know title or singer for sountrack song when zhao wei talk with her daughter in ep 42 ? ?